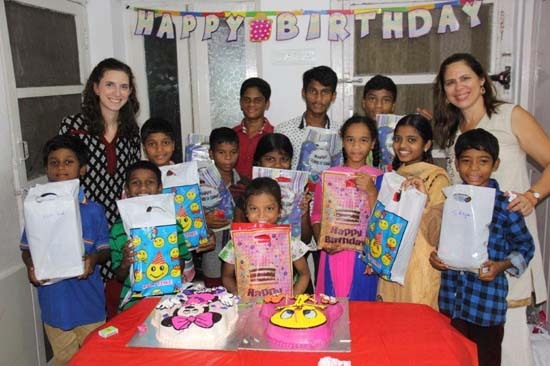 One of the projects funded by the CCI foundation is the Kids Home orphanage in Vizag, India. Below are email updates we receive from the home’s coordinators. Please note that 100% of proceeds will be directed toward this project until completion. We (Steve, Brenda, Michael, Rachel, and Leah) are all going to share a few thoughts in this report about what God is doing in our lives. Hope you like it! Leah’s first well dedication was very eye opening! This is Leah – So far this year, in this short time I’ve been here in India, I have had the pleasure to experience a good portion of the well ministry. At its core, it is so much more than just a humanitarian ministry. 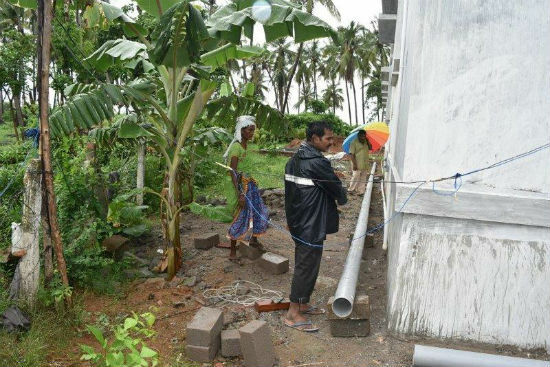 Yes, people are gaining access to clean healthy water. But they are also presented with the practical truth of God’s love for them and the knowledge that He is not only aware of their daily needs, but He is taking action on their behalf. This ministry is flooded with miracles and testimonies. 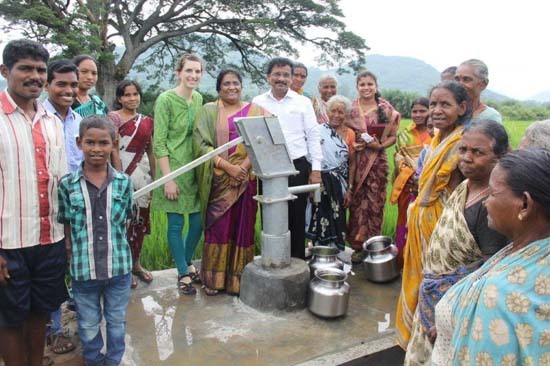 At my first well dedication, a Hindu man noticed the event as he was driving by and he witnessed the testimony of Jesus in the gift of that new well. Right then and there he asked to know about this God who was so good to His people! 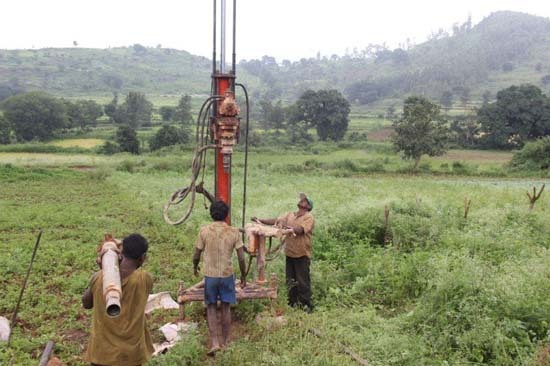 In this past month, we have dug 15 more wells! PTL! The children love giving “High-Fives” to Michael! This is Michael- What I’ve experienced here in India so far is what I expect to see in a movie or a show, but not in the way everyone usually expects it to be; instead of fancy clothes and elegant temples, this city is riddled with poverty and sickness. The lack of God here is only rivaled by the amount of false gods they have created and believe in. I have come to realize that many Indian people are ready to receive the Good News. And just to go out to the well dedication sites and see the raw reality of how people live here is eye opening. At the same time that we Americans live in complete comfort, people here have to walk half a mile for a simple drink, and even then the water is polluted or tainted in some way… To be here and spend time at the kids home, and to see the new facility built, gives me hope for the kids’ futures. We are teaching them about God and what it means to be a true follower of His Word, as well as help them in their education. It brings such joy to my heart to know that they have a chance in the world they live in. Rachel loves to spend time teaching the kids! 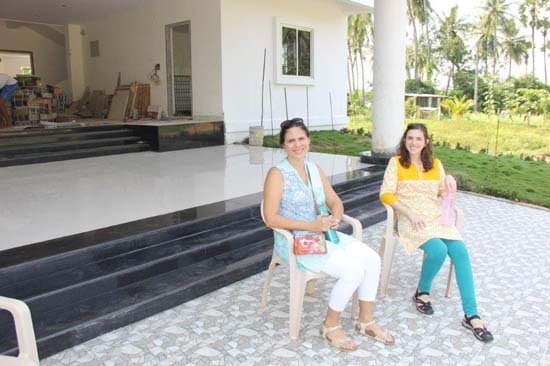 This is Rachel- Michael and I came to India earlier than my parents, expecting to be here for the opening of the new kid’s home, but not unexpectedly there have been delays, delays, and delays. It’s a good reminder for us that God is in control even if our own plans are not happening. In the meantime, we have been busy preparing classes for the kids’ English lessons and going to different villages setting up wells. It has been a privilege to drive to distant villages and meet new people and see the intrigue on their faces as they watch their new well being drilled. 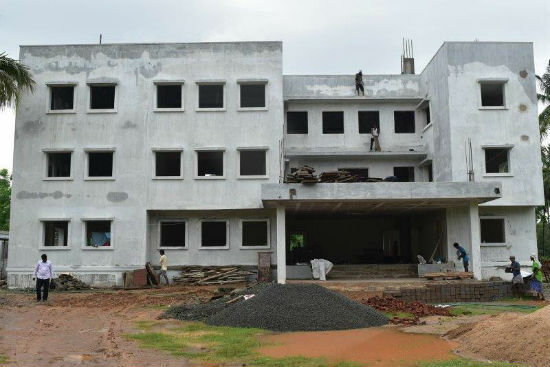 And the new Kids Home is coming along beautifully and we are anticipating its completion. There are so many ways you all can help, especially prayer (prayer is a huge blessing to us). 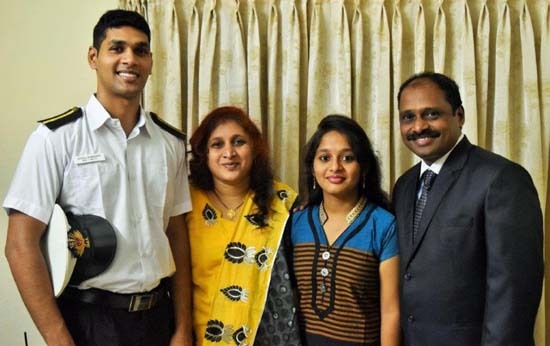 Thank you for all your support of our family’s mission here in India. Our first birthday group (September) is finished! This is Brenda- I have been very grateful to these three for their help with the various ministry projects, especially all the help they have given me with the kids. With so many new kids and new sponsors, there is a lot to do! I praise the Lord for all the ways we are able to help the poor and reach out to the lost, but, by far, the most fun for me is working with the kids! I have spent much time learning all the new kids names, giving them lots of hugs, encouraging them to brush their teeth, singing “Jesus songs” with them, and just getting to know them. 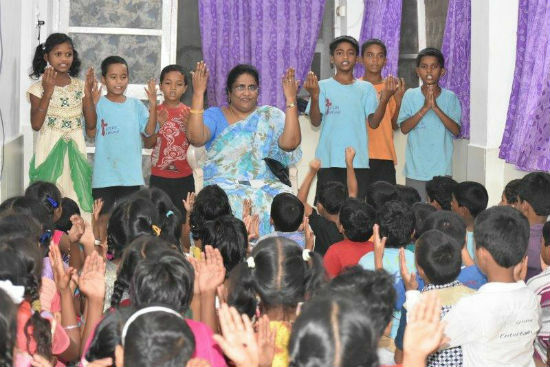 It is such an amazing opportunity we have to take so many poor Hindu children and teach them about the true God! Please pray for them to accept Him into their lives as their personal Savior. Also, remember our three helpers, as they adjust to living here in a very different culture! So far, they are doing well, but remember to pray for their health and adjustment to being away from their own culture, family, and friends. Sam is a godly husband and father! 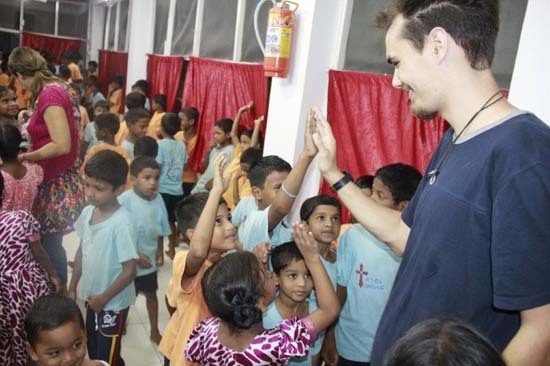 Sam’s passion is to share the gospel everywhere he goes! He uses various tools, including this giant “evanga-cube”. Christmas is right around the corner, and one generous supporter has offered to match dollar for dollar (up to $5,000 dollars!) any money that you raise in selling the Christmas cards and puzzles we mentioned in our previous letter. This is a great opportunity! If you wish to have a box of Christmas cards and puzzles (let us know how many you would like) delivered to your house so that you can sell them at your church or in your neighborhood, please contact us and we will make that happen. You can charge whatever you think. All proceeds will go towards finishing paying for the school bus and other expenses that we mentioned above regarding finishing the new Kids Home. Hope you can join us in this fundraising effort. Share these cards with your friends and help us pay off the new bus! And finally, are you wondering when we will be moving the children into the new Kids Home? As Brenda’s dad says, “All we lack is the finishing!” Once again, there have been numerous delays. The new target date is November 18th. Please pray! Praise God that through so many of you, we have received enough funds to complete the building. Sitting on the front porch of the beautiful new Kids Home. But, there are many costs that are not included in that basic cost and we ask you to pray for these needs. Here are some things that we need and that we don’t have money for. To start with, we still owe $4600 for the school bus. Here are some things we need: Generator-$3000, sound system $1000, fire sprinklers $3000, CC security system $1800, furnishings $8000, and $6500 for underground cables, cement work, granite work, water pump, and cabinets. Last but not least, when we do the big dedication in November and invite hundreds of guests and neighbors, the party and food will cost us nearly $2000 to feed everyone! Our God is a great big God with endless resources so we are putting our trust in Him! We had fun celebrating Steve’s 50th birthday with the kids! Thank you all for your love and support to us and to all the Indian’s we are able to help, both physically and spiritually! Thank you for your continued prayers and gifts! Praise God that we can work together for His glory! Here’s the other letter we promised to sent showing some of the pictures of the happy children who will get to live in the new Kids Home very soon. They are so excited!!! It was so fun to meet the new ones for the first time! She is at home here with the children!!! And it’s really fun to be reunited with the old ones, too! Thanks for helping us in this ministry to the lost and needy children! We are so amazed at God’s provision for the Kids Home building. 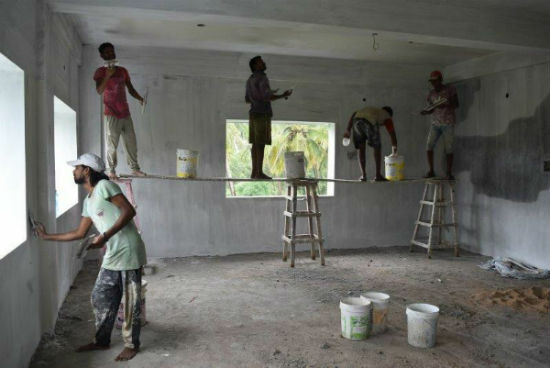 At this point we have enough funds to finish the basics of the home and move in, but we are still in need of funds to complete some of the finish work. When we get there and go through the building we will be able to give specifics for these needs in our next letter. Stan (Jessy & Sunita’s son) in front of the new building. 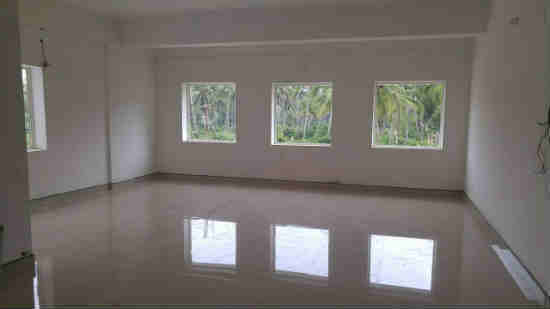 One of the new Kids Home rooms! Isn’t it beautiful?! So many of you have offered support for the various ministries we are a part of and it is so encouraging. One friend who has supported us is an artist whose focus is on Biblical art. He has graciously offered to donate his Christmas card sets to be used as a fund raiser to raise money to furnish the new Kids Home building! If you or anyone in your church would like to sell these in the next three months and give the donations to our ministry, just let us know and they will send you some of them. 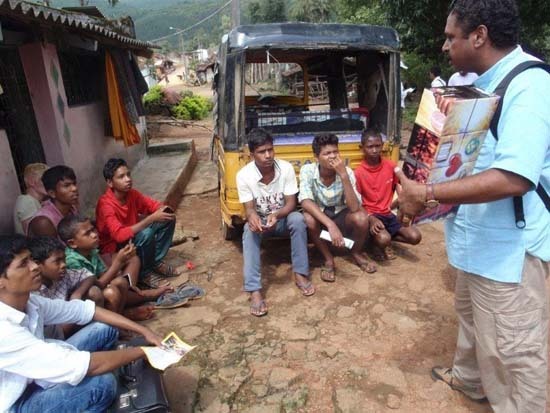 This is a great way to spread the news about all the wonderful things God is doing in Vizag. 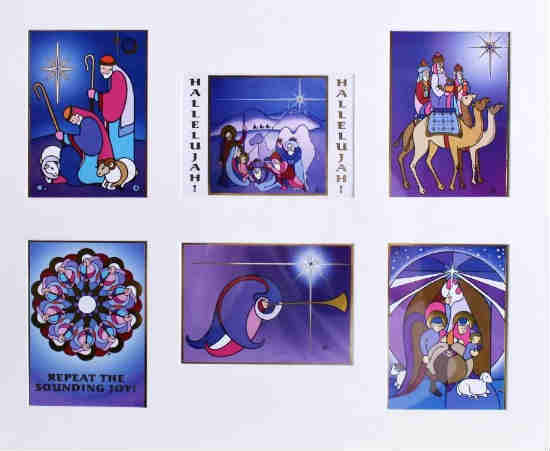 Share these beautiful cards with friends and help us furnish the Kids Home building! Sometimes we have to pinch ourselves to see if our lives are really real and not a dream! 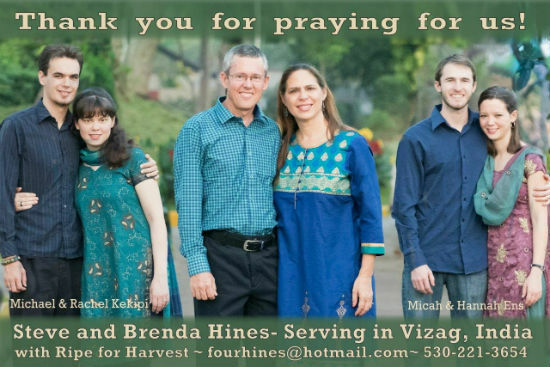 We praise God for His willingness to use us to serve Him in India! Thank you all for making that possible!!! We are making good progress on the Kids Home and we would like to share some more pictures with you. All the pipes are on the outside. It’s the way they do it in India. Also, see the banana trees growing on our property? It’s really starting to look nice! 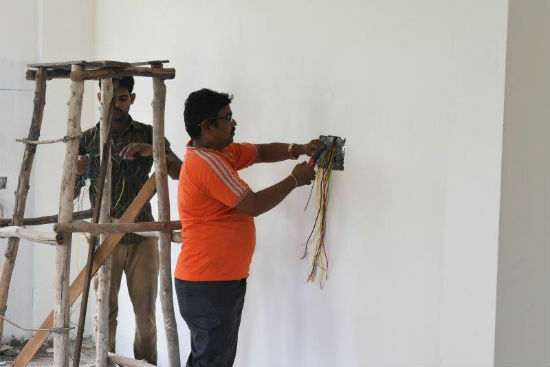 The electrician is puting in the switches and lights. This is the front view. Not much more to go. 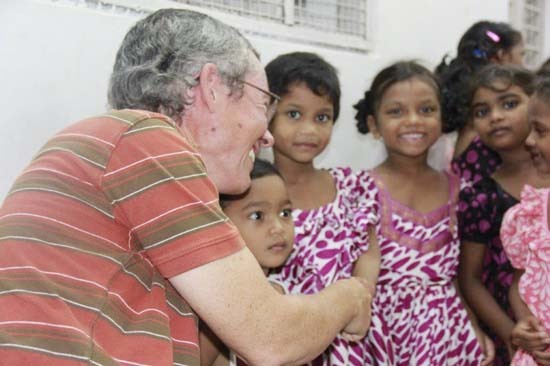 We have nearly 100 children in the little old Kids home right now! It’s totally packed!!! It’s only about 2000 square feet, like a typical American home. It will be so great to move into the 12,000 square foot new building!!! We are soooooooo thankful to God for you! You have significantly helped make this possible through your generous gifts! 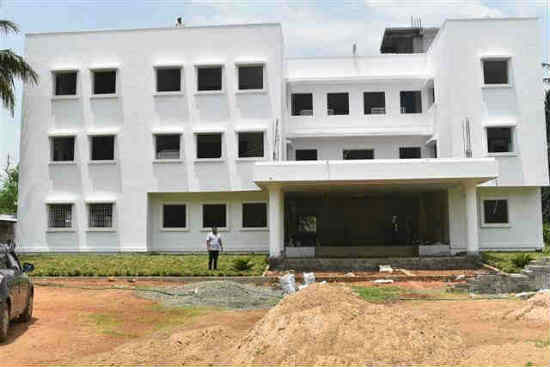 Pray for the completion of this building very soon, maybe this month, Lord willing. 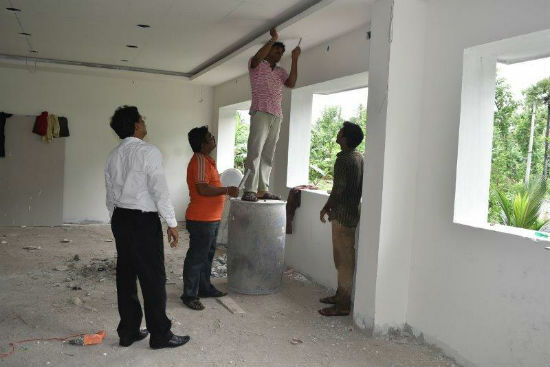 We are still in need of funding to get the building ready for the children to move in. Besides that, we will need money to buy beds, and interior stuff. Pray that more donors join in and give generously. 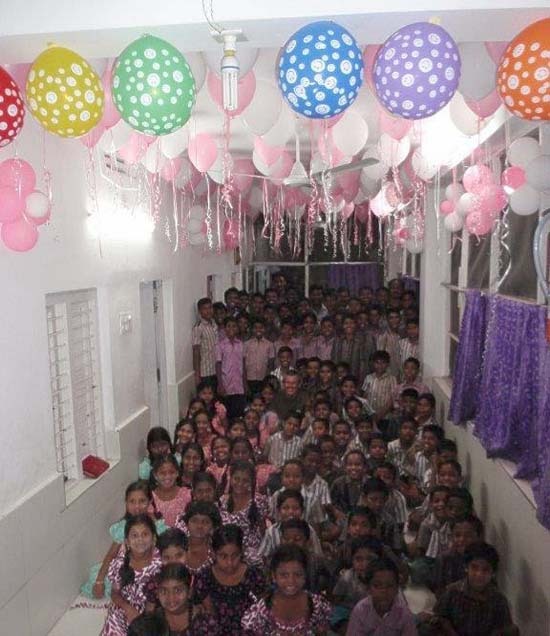 Thanks again for your gifts to buy this land and build this wonderful building for these needy children!